Throughout our history Deeco has built an extensive and comprehensive knowledge of the requirements and demands of New Zealand customers. 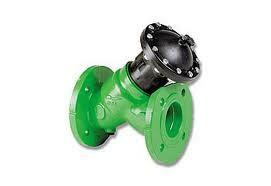 This experience has allowed Deeco to introduce to NZ and the Pacific the complete valve range of Bermad Israel. Unique in the world, Deeco represents each valve division for all market sectors, modified to suit New Zealand conditions. These valves are assembled on-site in our Wellington facility to meet each of our customers' specific requirements. Bermad unique design allows for over one thousand control function variations to be fitted to the basic hydraulic valve. Deeco offer a full application valve design service, as well as on site commissioning and valve warrant of fitness annual service programs. Deeco Services maintains a large stock of solenoids, diaphragms, spare parts and repair kits for all Bermad Series. For further data on the range of Deeco Bermad control valves or technical details, please Contact Us. For the complete, current product range available to order, please see the BERMAD WEBSITE. 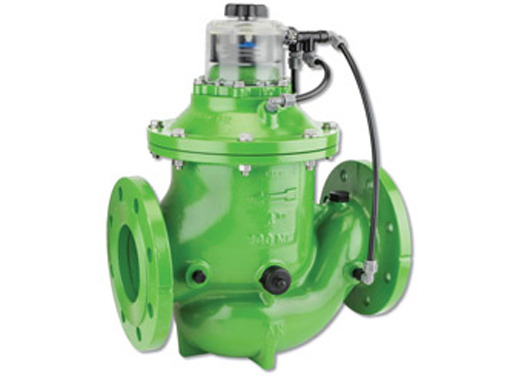 Durable industrial grade valve design and construction uses glass-filled Nylon material to meet rough service conditions. Ultra-high flow capacity with minimal pressure loss. Designed for service on a wide range of pressure and flow conditions, from dripping to maximum flow. Simple design with few parts guarantees easy in-line inspection and service. Positive guided valve plug provides accurate motion and smooth regulation. Avoids chattering and slamming closed. Versatile end connections allow mix of different sizes and connection types. Female thread, Flanged or PVC ‘Slip-on’ Glue or Grooved adapter (as add-on option). The model 300 basic double chambered valve operation is independent of valve differential pressure since the line pressure actually serves as the actuator differential pressure, This develops maximum power, ensuring immediate valve response. The upper control chamber is pressurized to close, and vented to open the valve. The lower control chamber is usually vented to the atmosphere, but can also be pressurized to power the valve open. The mode IR-400 Basic Valve uses valve differential pressure to power the diaphragm assembly open or closed. The lower side of the diaphragm, which serves to cushion the closing of the valve, is exposed to downstream pressure through a dynamic peripheral passageway that its width respond to differential pressure and flow along the downstream side of the chamber. The pressure in the control chamber varies, usually resulting from the combined action of a regulating pilot and a fixed orifice. This varying pressure modulates the valve to open or close. No needs for special types of diaphragm to meet different operating conditions. Progressive dynamic guidance, resulting in exceptionally stable action and restrained closing. Valve opnes and closes drip tight eben with very low pressure supply. Perfectly balanced diaphragm with no distortion caused by uneven hydraulic forces on shut-off or during regulation. Exceptionally stable and chatter-free action during shut-off and pressure regulation.